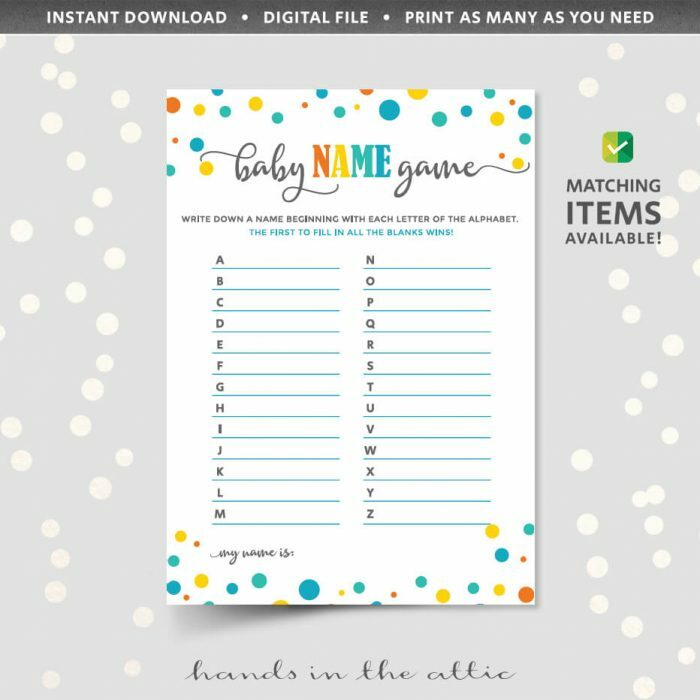 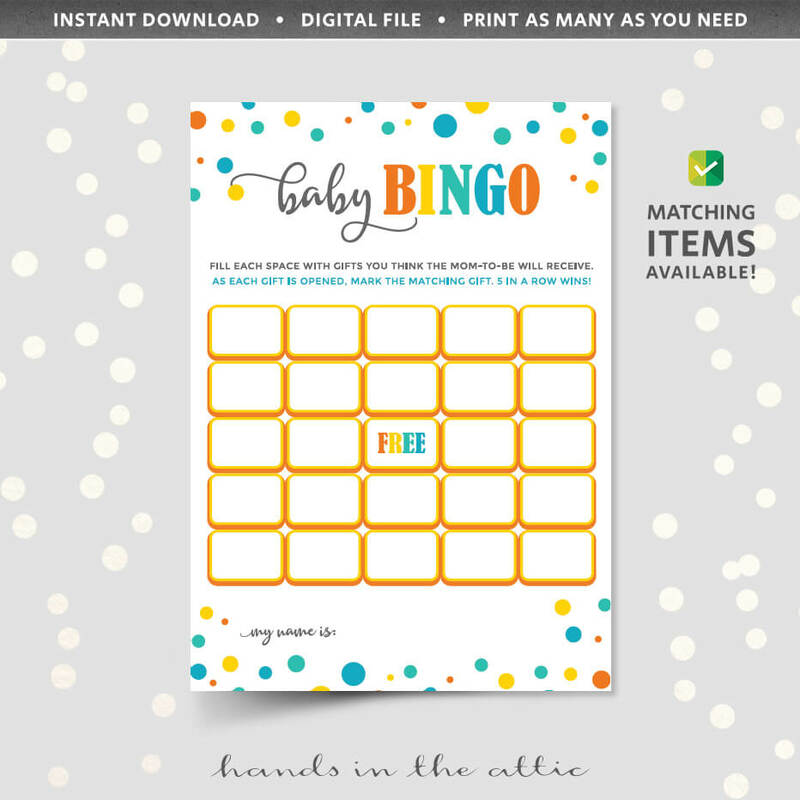 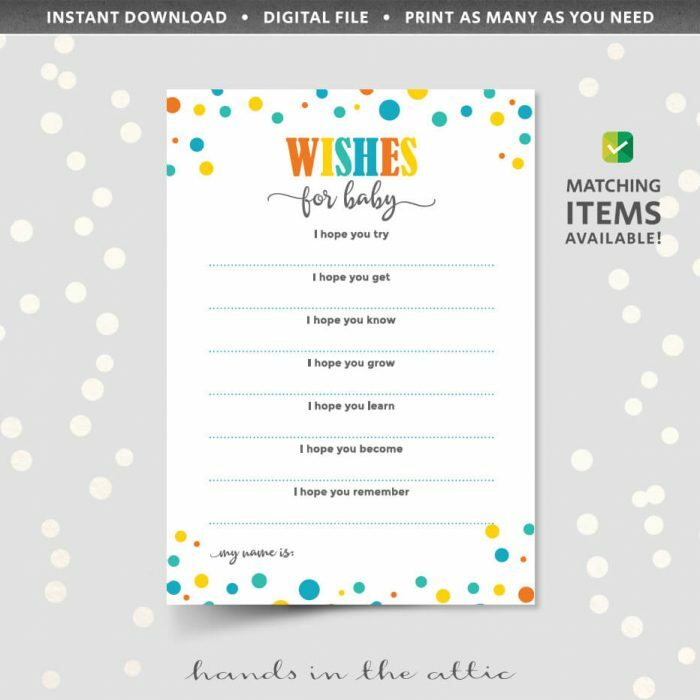 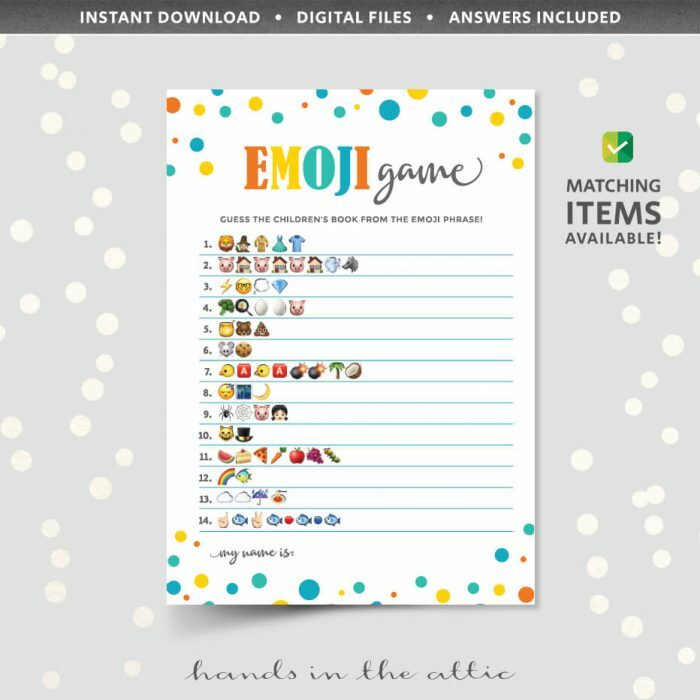 Play Baby Bingo with this printable template featuring colors perfect for a gender neutral baby shower, or a guess the gender shower. 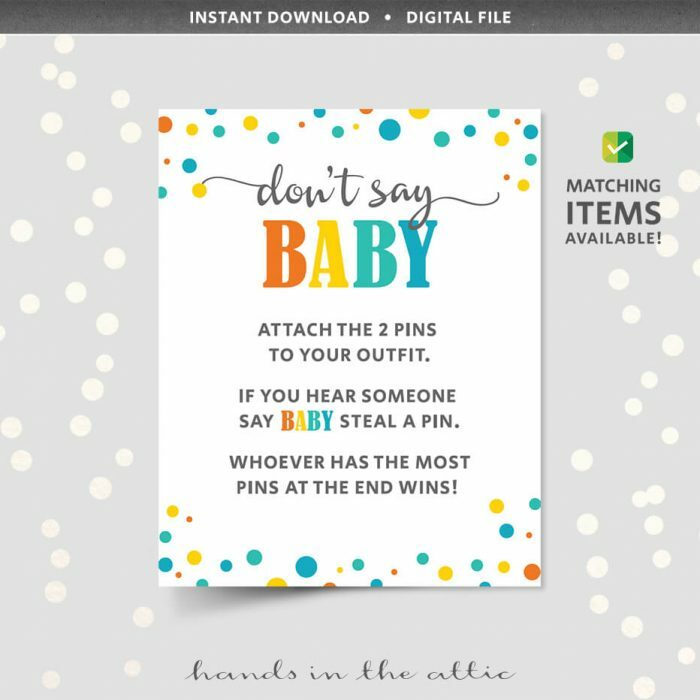 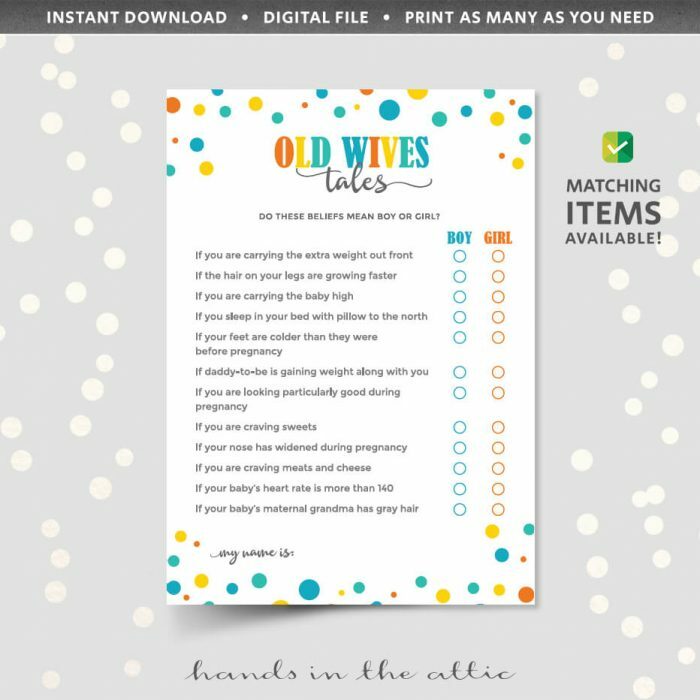 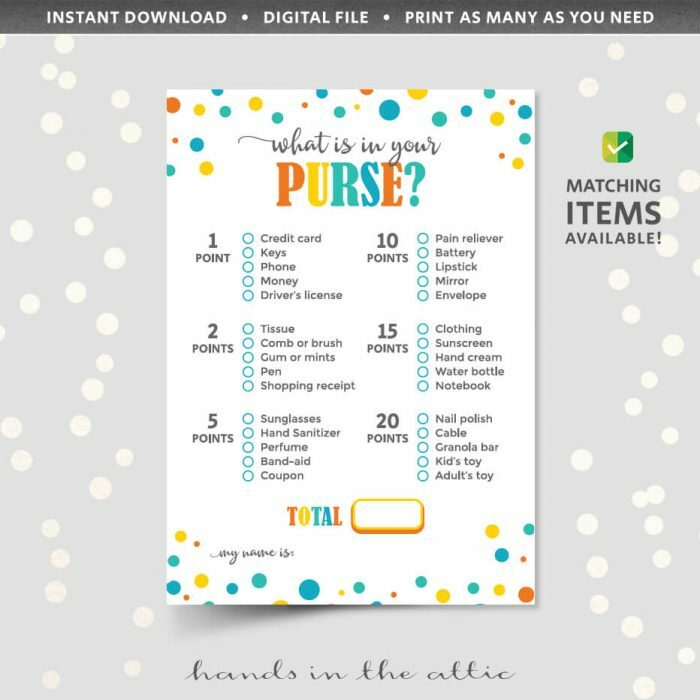 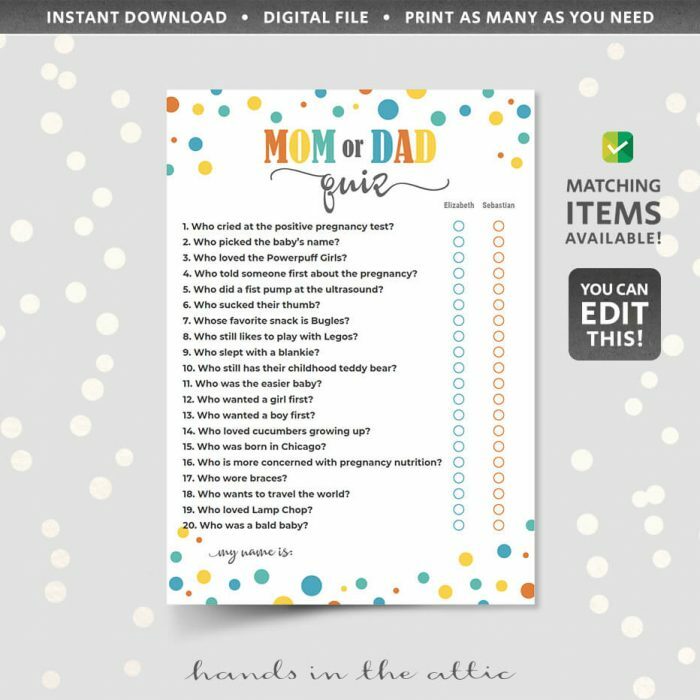 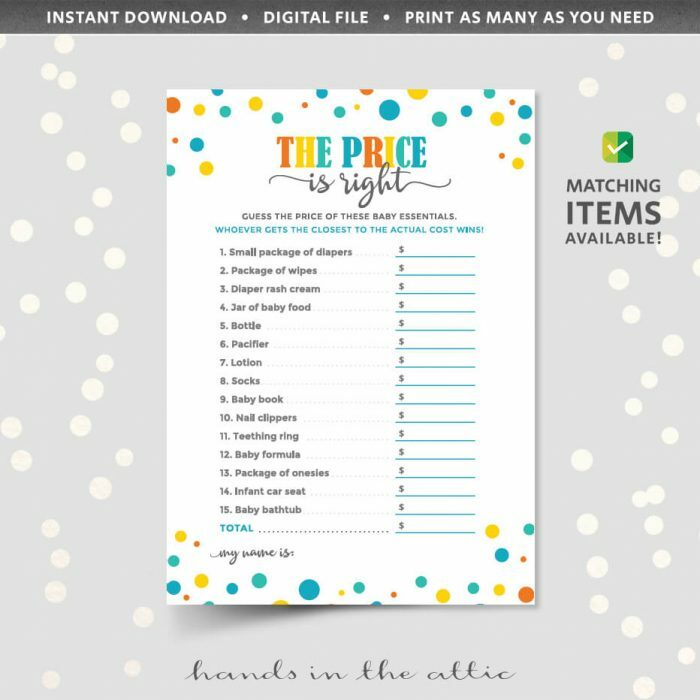 To play, guests fill in the boxes the gifts they think the mother-to-be will receive. 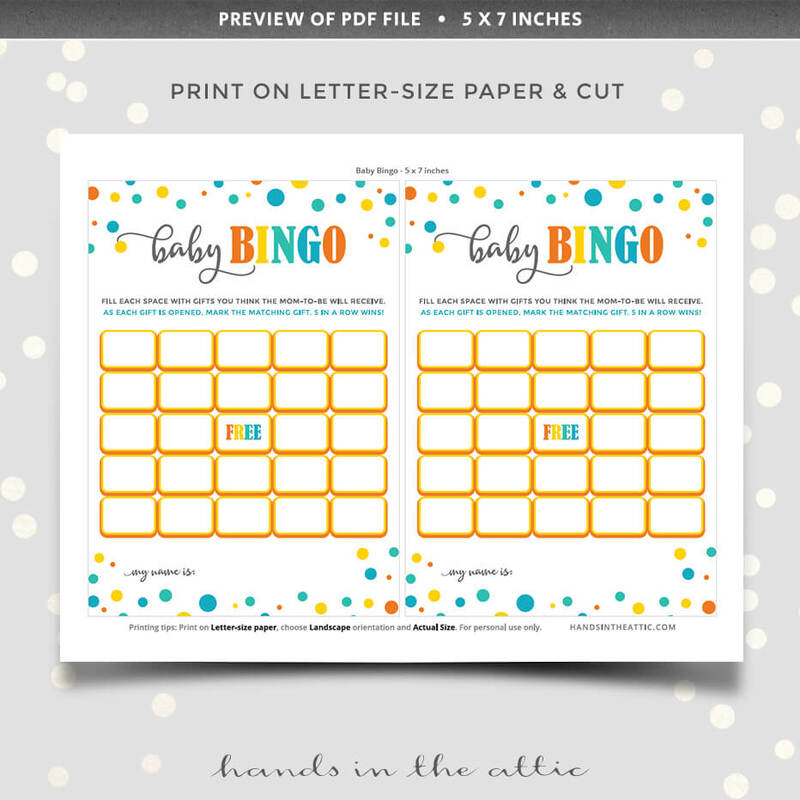 As each gift is opened, cross out the guess, and 5 in a row wins!